a short but very useful Weight Loss Guide to give you extra help when/if losing body fat is your priority. Put simply, How to Create a Great Body is the most comprehensive training system that I am aware of. It includes everything you need, whether male or female, to create the strong and muscular physique or the curvaceous and toned figure you have always wanted. It contains everything necessary not only to completely transform the way your body looks but also to improve every single key component of physical fitness, from your muscular, cardiorespiratory, and functional fitness to your flexibility and body composition. You can download the ebook right now and start reading it within the next few minutes. Unlike any other ebook, you will receive How to Create a Great Body in all three popular formats: PDF, EPUB, and MOBI. This means that you can read it on all of your devices, including your phone, PC, Mac, laptop, tablet, e-reader, and Kindle Fire. You can also print a copy. Download the ebook to your phone and take the training programs to the gym! I’ve also provided alternatives for cable and machine exercises, so you can complete the weight training programs at home if you have basic equipment (see the table below for home training requirements). The contents of the ebook are explained in detail below. You will also find its actual table of contents at the bottom of this page. Divided into eight major parts, How to Create a Great Body is a complete guidance and training system that is absolutely packed with informative guides and meticulously designed training programs. Part 1 introduces you to weight training and its benefits, goes over the details of muscle science, and reveals the fundamentals and methods of weight training. It also offers guidance on how to get started with weight training, find a gym or set up a home gym, warm up, cool down (stretch), track your progress, keep motivated, and ultimately succeed. The Nutrition Guide covers all of the important elements of good nutrition, dietary management, and strategic eating. After beginning with a detailed look at all macronutrients and micronutrients, it explores calorie requirements, bulking and cutting, dietary tracking, supplementation, and nutrient timing. As a small bonus, the guide ends with advice on how to save money on healthy foods. a minimalistic program for busy individuals. Completion of the beginner and five increasingly difficult programs will take one year and twelve weeks if you take a week’s break between each one. However, I balanced the programs meticulously so that you can repeat each one (except the beginner program) as many times as you want to with little risk of developing muscular strength imbalances. As such, the programs can keep you training and making progress for several years. With the aim of keeping you engaged, challenging you, and promoting continual progress, I designed the programs to incorporate a wide range of training splits (for example, upper–lower, push–pull, and push–pull–legs) and utilize a variety of intensity training techniques (for example, superset training, rest–pause training, and dropset training). The plateau buster program is there for you when making progress starts to become more difficult. It is based on the pre-exhaustion protocol, which involves partially exhausting prime mover muscles with isolation exercises before moving on to the major compound exercises. Pre-exhaustion makes prime movers work much harder during the compound exercises, thus amplifying the stimulus for development and increasing your chances of pushing through plateaus. Meticulously balanced, you can repeat the plateau buster as many times as you want to. Since it is designed to produce the same results as the five increasingly difficult programs, you can also use it as the sixth program in the sequence. If you’re a very busy individual with little time to spare for training, the minimalistic program is designed for you. The workouts of the program include the bare minimum of exercises and sets necessary to provide you with an effective full-body workout as quickly as possible. The exercises are arranged into supersets, which means that you can fly through them very rapidly. As with the other programs, the minimalistic program has been meticulously balanced so that you can repeat it over and over again for as long as you please. You can complete the weight training programs at any gym. However, I have provided alternatives for cable and machine exercises, so you can also perform the programs at home if you have the following basic equipment. Part 4 explains the fundamentals of power, plyometric, and bodyweight training, and presents power, plyometric, and equipment-free bodyweight workouts. It also gives you the tools necessary to design your own equipment-free bodyweight workouts, which you can use if you go on vacation or can’t make it to the gym and lack home equipment. The Target Muscle Guide is very original. I haven’t seen anything like it anywhere. However, I added quite a lot of detail to it, so it’s not an easy read. After briefly introducing you to joint articulations and the three planes of motion, the first half of the Target Muscle Guide reveals all of the main muscles that are activated by different types of exercise (for example, horizontal pulling exercises, glute/hamstring-dominant compound exercises, vertical pushing exercises, and quadriceps-dominant compound exercises). If you can read and understand this section, you will know exactly what you’re doing the next time you walk into the gym! The second half of the Target Muscle Guide presents lists of all of the most effective compound and isolation exercises that target each major muscle and muscle head. Use it as a reference whenever you want to focus on developing a muscle of interest. It then presents three cardio training programs, including one SST program with three workouts, one interval training program with three workouts (two of which are high intensity or HIIT workouts), and one FCT program with two workouts. The workouts are progressable and can of course be repeated as many times as you want to. The workouts of the three different types of cardio are also interchangeable, which means that on one day you can do SST, on another day you can do HIIT, and on yet another day you can do FCT. One of the HIIT workouts follows the original Tabata protocol, which is extremely intense and intended only for experienced individuals. The Cardio Guide concludes with instructions on how to design your own FCT workouts. The Weight Loss Guide is short but very useful for anyone whose primary goal is to lose body fat. It presents three steps to successful weight loss, along with a wide range of tips and tricks that can make losing weight, and keeping it off, much easier. How to Create a Great Body ends with a sizeable glossary that includes many important key terms, concepts, and principles related to muscle science, weight training, cardio, fitness, and nutrition. You can use it as a reference or a revision tool. How Do You Use the Ebook to Transform Your Body? The way you use the ebook will depend on your goals. After you download it, all you have to do is read the guides that are relevant to you and then start the training programs. If you want to develop a muscular and strong physique or a curvaceous and toned figure, start a weight training program. The weight training programs will also help you to improve your functional fitness (because they include functional exercises) and flexibility (because the warmups and cooldowns include dynamic and static stretching). If you want to develop cardiorespiratory fitness and endurance, start a cardio training program, and mix and match the different types of workout. If you use the FCT workouts, you will also develop functional fitness. If you want to develop all key components of physical fitness, start a weight training program and a cardio program. The minimalistic weight training program together with just two short cardio workouts per week should be enough to completely transform your body — from cardiorespiratory system to musculoskeletal system — and dramatically improve your weight, body composition, physical fitness, athleticism, and appearance. As to the more comprehensive and advanced weight training and cardio programs, they have the potential to give you a body similar to the one that you have always wanted! Of course, you will also have the bodyweight, power, and plyometric workouts at your disposal, which you can use as and when you want to. With so many detailed guides and meticulously designed training programs, you might expect How to Create a Great Body to be expensive. The good news is that it’s probably far cheaper than you think it is. It’s certainly far cheaper than a personal trainer. According to the National Strength and Conditioning Association, personal trainers charge from $15 to $100 per hour, with the average being $50 per hour. The more elite personal trainers can charge as much as $15,000 for a six-week session! There are also so-called fitness “gurus” who sell poorly-designed weight training programs online for between $50 and $500 — and the programs usually only last for 6 to 12 weeks! You can download my complete training system right now, which contains years’ worth of meticulously balanced training programs and everything else you need for total-body improvement, for just one single payment of $39.99! As already made clear, for that single payment, you will get all three versions of the ebook (PDF, EPUB, and MOBI), so you can read it on all of your devices. Yes. How to Create a Great Body comes with a 60-day money-back guarantee. 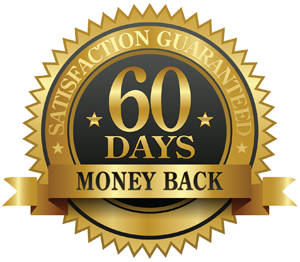 This means that you can read the ebook and try the training programs for 59 days, and, if unsatisfied, you can email me on day 60 for a refund. How Do You Download and Read the Ebook? After you make your payment, you will be taken to the download page. You will also be sent an email containing a link to the download page so that you can access it again. An EPUB version for iPhones, iPads, Android devices, e-readers, and tablets. A PDF version for PCs, Macs, and laptops, and for anyone who wants to print the ebook. A MOBI version for Kindle Fire tablets and devices on which the Kindle app is installed. You can download all three versions to one device and then transfer them to other devices by using a USB cable, or you can simply access the download page using each device and download the relevant version. If the required app is not already installed, you can download iBooks for free from iTunes and you can download Google Play Books for free from Google Play. Tip: If you upload the EPUB to iCloud, you will be able to open it on all of your Apple devices; and if you upload it to Google Play Books, you will be able to open it on all of your Android devices! Before you download the PDF, make sure Adobe Acrobat Reader is already installed on your device. If it’s not, you can download it for free on the Adobe website. If using a Kindle Fire or a smartphone/tablet on which the Kindle app is installed, download the MOBI to your “Kindle” folder. The ebook should then appear on your device. You might also have to go into your Kindle settings and put a check mark next to “Data storage access”. If using a PC, Mac, or laptop on which the Kindle App is installed, download the MOBI to your “My Kindle Content” folder. The ebook should then appear on your device. Tip: You can send the MOBI to all of your Kindle devices at once by using Amazon’s Kindle Personal Documents service! Below I have pasted the ebook’s table of contents. It will give you a clearer idea of the subjects that are covered and the way in which How to Create a Great Body is laid out. How quickly can you gain muscle? If you have any questions before you purchase, please contact me.